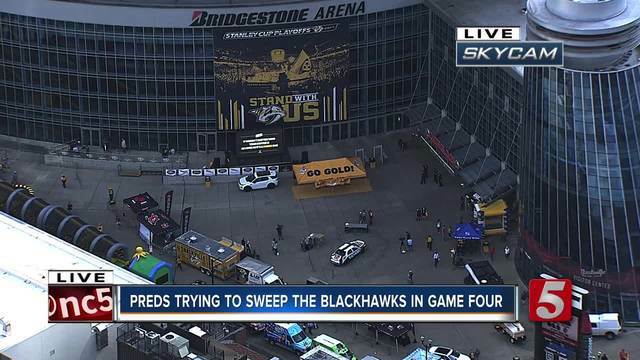 The Predators will look to sweep the Blackhawks when they drop the puck for game four of their opening round playoff series at 7 p.m. at Bridgestone Arena. A victory would eliminate the Stanley Cup favorites and a team that's won the Cup in three of the past seven seasons. It's a dynasty that began against the Preds back in 2010 when Nashville held one goal lead in game five of their opening round series only to see the Blackhawks get a shorthanded goal from rising star Patrick Kane past Pekka Rinne in the final minute of regulation. Chicago went on to win the game in overtime and wrap up the series in game six in Nashville on the way to their first Stanley Cup in half a century. 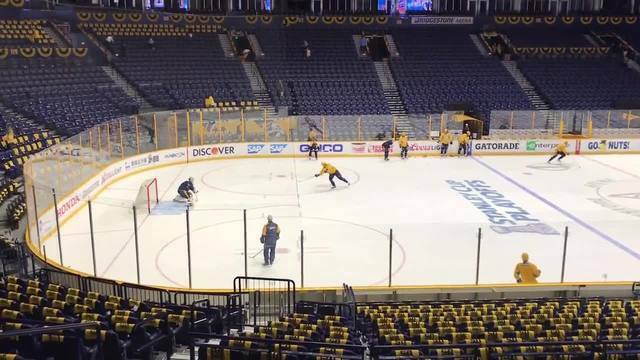 "That's the one that really sticks out," Rinne told reporters before this series began. "We were in good position and felt like we had them." The Blackhawks won another title in 2013 and another in 2015, skating through the Predators in round one once again. When the Preds first became a consistent playoff team, the hurdle that always seemed to be in their path was the Red Wings. But after Nashville finally beat Detroit in the opening round in 2012, the Red Wings moved to the Eastern Conference. That left the surging Blackhawks as the new chief obstacle in the way of the Predators. And here the Preds sit on the verge of not just beating their biggest rival, but sweeping them in the first round. And with Blackhawks' stars Jonathan Toews, Patrick Kane, Duncan Keith and Brent Seabrook not getting any younger, it could signal a real changing of the guard in hockey's Central Division. The Predators are young, talented and here to stay. "It just feels like this is the team we have to beat to get to where we want to go," Rinne said. "We can't look to far ahead or make an assumptions, but this would be a big win." The goal for Nashville is to ultimately win a Stanley Cup. It's a goal that seems a lot more attainable today than when the series began a week ago in Chicago. And a win tonight may just end the Blackhawks dynasty seven years later back in the place it all began. For a Predators team that's faltered against the Blackhawks time and time again, my how sweet that would be.